Felt Magazine, Issue 20, 2018 - Spun Fibre Arts, a local and online yarn store specializing in natural fibres. 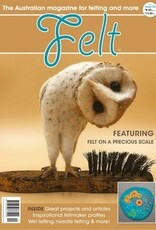 Felt is a warm, soft, tactile fabric. It can be shaped, steamed and easily manipulated to form all sorts of angles and dimensions. It can be thick and insulating as in a warm winter coat, or it can be light and fluid as in a summer Nuno garment. Traditional felt has no internal structure. It is not woven or knitted, but is simply a collection of fibres, such as wool, alpaca, rabbit etc, that with the addition of heat, agitation and often water and soap, shrinks to form an interlocked fabric structure. Nuno felt occurs when wool is worked together with cloth, usually of an open-weave structure, such as muslin, cheesecloth, gauze or light silk. Nuno is often used to laminate or capture objects between layers. Nuno is sometimes referred to as laminated felt. 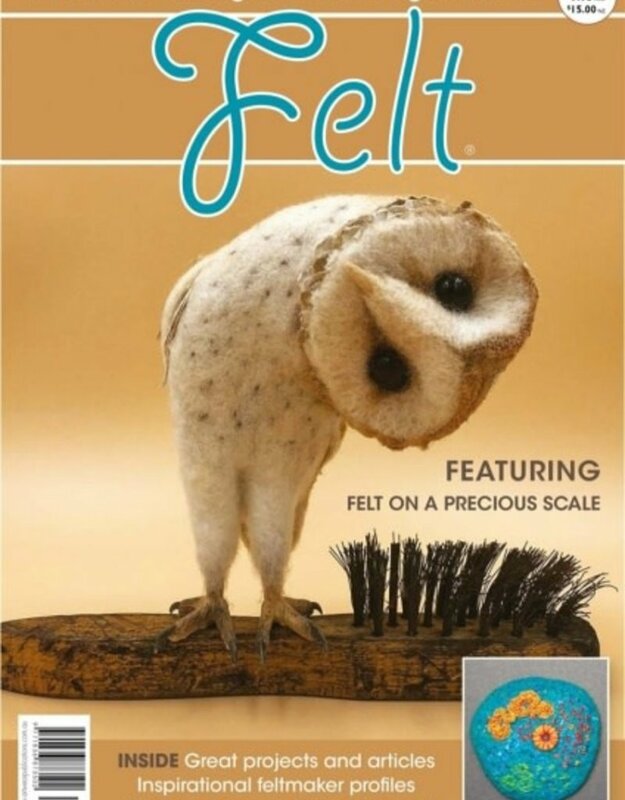 Felt magazine examines traditional felt, Nuno felt, embellishing techniques, dry felting (needle felting and machine punching) and knitted (fulled) felt with a comprehensive mix of articles, projects, profiles and visual inspiration. It includes a mix of easy, intermediate and technical projects to suit a wide range of skill levels.